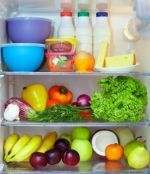 Many of the foods you eat have some protein in them, but the foods listed here are a significant source that will make it easier for you to fulfill your daily protein requirements. Unless you are a vegetarian or vegan, when you talk about protein in your diet, you are mostly talking about meat, eggs and dairy products. Another way of saying this is, generally, most of the protein in your meals comes from the main course. Caveat for Healthy Protein Foods: Most health experts recommend that you limit or avoid processed meats, such as lunch meat and hot dogs, since they have been associated with health risks. In addition, there are some plant foods that are significant sources of protein. When you think about how meat should fit into your diet, you may want to think of it more as a side dish than a main course. Rather than eating mostly meat, with a few vegetables on the side, try eating lots of veggies with a bit of meat on the side. It does not take a large portion of meat to get your protein requirement from a meal, plus you can also get some protein from other parts of your meal--bread, rice, dairy products, eggs or legumes. This is a far more balanced way to look at your diet, and could have a beneficial effect on your health and your budget! 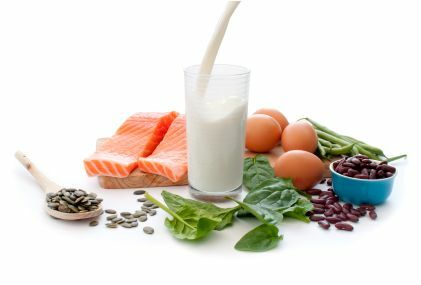 Fun Fact about Healthy Protein Foods: Your body actually reuses the protein from the cells of your gastrointestinal lining when they are sloughed off (about every three days) and replaced with news ones. This allows you to have protein available from another source besides the food you eat. What an amazing creation we are! The usual guideline for visualizing meat servings is that the portion should be the size of a standard deck of playing cards. For non-meat protein sources, a serving, which is 1 large egg, ½ cup cooked beans or rice, or 2 Tablespoons of seeds, nuts or peanut butter, is equivalent to only about 1/3 of the protein in a serving of meat. Tofu can also be included in this group with a serving size of about 4oz. Most health experts recommend that, whenever possible, choose a leaner or low-fat version of these foods and remove the visible fat from meats. In addition, be aware of invisible fats, the ones you can't see. Seeds and nuts are popular foods in many diets, often as snacks, but in most vegetarian eating plans, they are staples. In addition to being one of the healthy protein foods, these nutrient-dense powerhouses provide fiber, healthy fats, enzymes and a number of vitamins and minerals. They can be eaten whole, in “butters” or used to replace meat in many recipes. Nut creams and nut milks can be used to make sauces or in smoothies. Click here to go from Healthy Protein Foods to Good Carbs page.